At Camp Bullis, in the middle of Texas, Forrest Faison (’80, SCD ’18), in his final test of medical school, stood covered in mud. His eyes revealed evidence of sleepless nights under an old, leaky Korean War-era tent. His body showed the wear of two weeks of uninterrupted combat hospital training, mass casualty drills and mock emergency medical scenarios. And his stomach did nothing to hide its rage against its emptiness. Commander Cowan paced as he examined the group of medical students. “Tell me something I don’t know,” thought the exhausted and frustrated Faison. Faison barely heard him. The mixture of fatigue, mud and hunger drowned out the words. Shoalwater Bay, on the eastern side of Australia, is about the size of Rhode Island. It is largely uninhabited, with no paved roads. It is impossible to get anywhere fast, but perfect for military training. In 2001, Faison was stationed in the remote area as the Marine expeditionary brigade surgeon — the senior doctor to 6,000 U.S. Marines deployed to train with the Royal Australian Armed Forces. One morning, the radio crackled with the voice of a young junior medical officer located in the northern section of the training area. He was examining a 19-year-old Marine who had recently started wheezing. A Marine helicopter was scheduled to fly from the north to Faison’s location to pick up supplies that day. Listening to his intuition, Faison suggested that the wheezing Marine hitch a ride south so the doctor could examine him in person. An hour after the Marine disembarked from the helicopter, he was in respiratory failure. His lungs were almost entirely overtaken by fluid; they were barely functioning. Faison and his team were forced to intubate him. At his post on Shoalwater Bay, all Faison had to help the Marine was a small surgical unit outfitted with a rudimentary ventilator. An hour away, in a tiny village, there was a dispensary with a small intensive care unit operated by a doctor from South Africa. Faison decided to throw a Hail Mary. He pointed to five corpsmen, who helped him load the Marine into a field ambulance. They navigated dirt roads and did their best to avoid potholes while taking turns bagging him, keeping just enough air passing through his lungs until they made it to the dispensary and a better ventilator. Faison and his crew arrived at the dispensary, found the South African doctor and quickly hooked the Marine up to the ventilator. They administered every antibiotic and medication that had the potential to improve the patient’s condition. Faison and the South African doctor traded watch every four hours for two and a half days. Nothing was working. If anything, the Marine was getting worse. His other organs started shutting down. Faison believed the young man was going to die. Faison took a deep breath and dialed the number of the Marine’s parents in the United States. As steadily as he could, he told them that their son — their only child — was going to die. Faison assured them he would do everything in his power to keep him alive until the Marines could get them to Australia to say goodbye. But no promises. “It was a gut-wrenching phone call,” Faison remembers. “I hung up. I was tired; I hadn’t eaten; I wanted to be anywhere but there. I sank into a chair and just wept. All the years of study and training, all the technology, all the science, and I couldn’t save this 19-year-old’s life. Then, Faison heard the faint words from 18 years earlier. Words that had almost been blocked out by fatigue, hunger and despair. Words uttered by a commander at a muddy training camp half a world away. Words that he needed to hear at just that moment. Suddenly, Faison remembered his purpose. He knew what he had to do. Rising from the chair and dabbing at his eyes, he left the small office with renewed energy and tracked down his weary corpsmen. For two and a half more days, Faison and his crew cared for the Marine. They monitored his condition and tried to keep him alive and stable while his family traversed the Pacific. “As physicians, we think we’re in control, but we’re just the instruments and hands on earth of a loving God who is using us for His purpose. While we waited for his family to get to Australia, when all seemed lost, for reasons I can’t explain, the Marine started to get better,” Faison confessed. When the Marine’s mom arrived at her son’s bedside, Faison was extubating him and taking him off the ventilator. “That Marine said two words I never thought I’d hear him say,” recalled Faison. Two days earlier, this Marine’s body was failing. He was unable to breathe on his own; his illness was working against him; he was almost certain to become a casualty. He had even been too sick for evacuation to a hospital with more equipment and resources. That young Marine’s condition had forced Faison to make one phone call. Now, the young man’s improving condition was forcing him to make a second — one he welcomed. Faison contacted the Air Force to transport the Marine to the hospital in Okinawa, Japan. On a dusty runway outside that small town, Faison, the five corpsmen and the Marine’s mom surrounded the stretcher carrying the recovering Marine to the arms of the waiting Air Force medical evacuation team. “That Marine made a full recovery and I believe went into health care,” recounted Faison 17 years later, sitting in his office at Defense Health Agency headquarters. 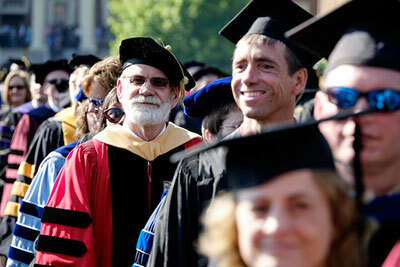 When Faison enrolled at Wake Forest in 1976, he was going to be a minister. At least that was his intention. After struggling and praying about his future, Faison realized on a walk from the library to Salem Hall for chemistry class that his mission had changed. He knew he needed to pursue medicine. Vice Admiral Forrest Faison (’80, SCD ’18) earned his M.D. from the Uniformed Services University of the Health Sciences (USUHS) before specializing in neurodevelopmental pediatrics, caring for disabled children and their families. His military tours of duty have taken him all over the world — Kuwait, Qatar, Iraq, Japan, California and Texas — and among his numerous awards and commendations is the Lighthouse Award from the California Medical Community, a first for the Department of Defense. He earned it for visionary leadership and inspiring health innovation after coordinating the Navy’s response for assistance and support to Japan following the earthquake and tsunami in 2011. 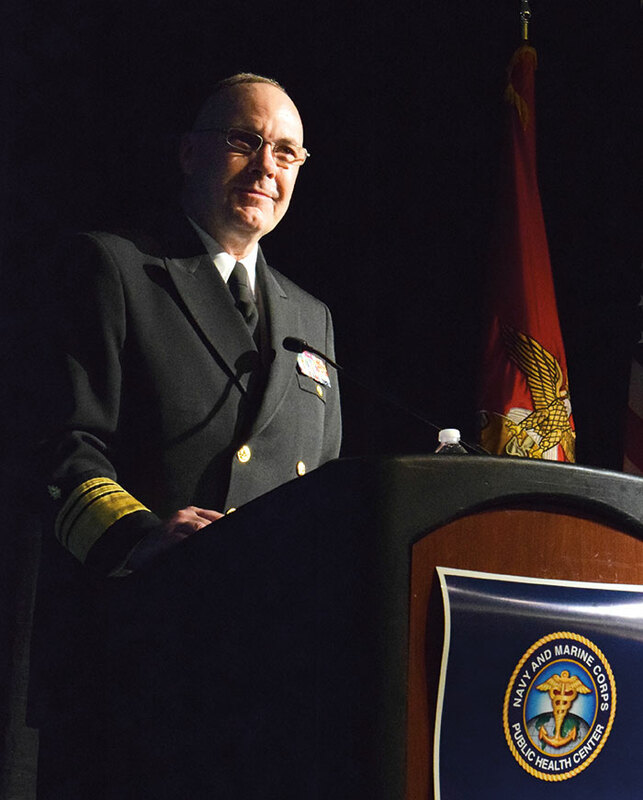 Also responsible for training more than 5,000 hospital corpsmen each year, the vice admiral is an associate clinical professor of pediatrics and a distinguished professor of military medicine at the USUHS. 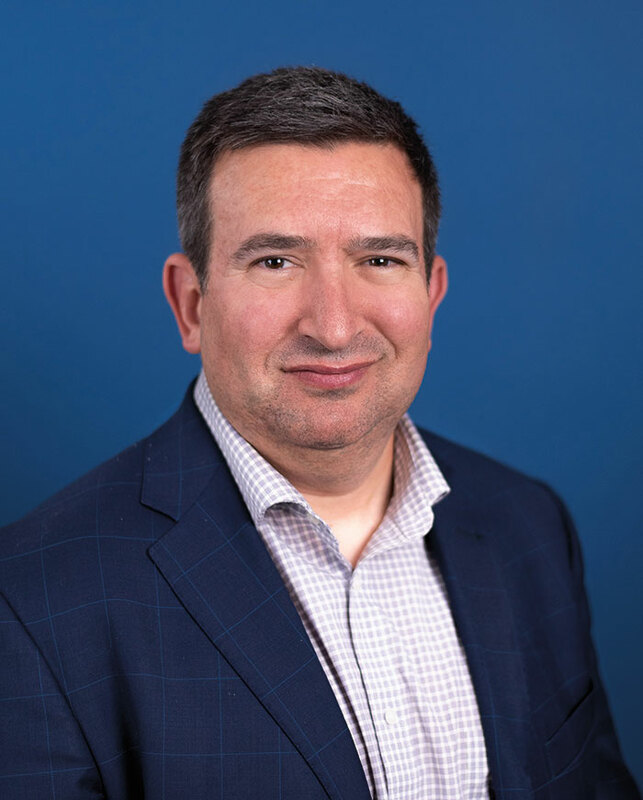 He has published on the neurodevelopmental outcomes of premature infants, military population health, the future of wounded warrior care, and the use of telemedicine and health informatics in health care. In his current role as the 38th surgeon general of the Navy, he leads a staff of more than 63,000 serving at 127 medical centers, hospitals, clinics, research and development laboratories, and schools worldwide, and providing care for over 1.2 million beneficiaries. He and his wife, Michelle, have two grown children. It was 1996, and it was tough to say which rookie was more nervous for their NBA debut — Kobe Bryant or Melissa Proctor (’02). One played six minutes off the bench, tallying a rebound, a block and a steal. The other collided with a massive veteran player during a layup drill, resulting in a busted lip and an ice pack. One found success by knocking down shots off the glass; the other found hers by knocking on doors and walking through them. The first door of Proctor’s career was hardwood. At 15, she knew she wanted to be the first female head coach in the NBA. Never mind that she had never shot a basketball or attended an NBA game. In fact, she wasn’t even an athlete. She was an artist. In high school, she pursued graphic design — and a job with the Miami Heat. With unmatched persistence, she called the team, sent letters with drawings on the envelope and called some more. After several months, the equipment manager invited her to be a ball girl, or team attendant, for a preseason game. Her duties included handing out Gatorade, prepping the bench before the game, rebounding and passing during warmups, folding towels, hanging up uniforms and mopping sweat off the floor. She quickly learned that Patrick Ewing sweats a lot (“Buckets,” Proctor clarified), and as a novice to the game, she was going to have to work harder and outpace her fellow team attendants to keep her nonpaying job. So she did. In between school and art, she was at the arena for every home game. Soon assistant coach Stan Van Gundy had her running player drills next to him on game nights. Players, who had nicknamed her “Queen” — short for “Queen of the Court” — were requesting her to pass and rebound during warmups. And in order to learn more about the strategy of the game, she retrieved the scraps of paper head coach Pat Riley had scrawled last-minute plays on and studied them at home. Her career in the NBA started at the very bottom. Literally from the floor. She broke a sweat wiping up the sweat of some of the greats. But from that viewpoint, she saw how the organization was structured. She watched the players, listened to the coaches, felt the decisions of the leadership and gained incalculable experience. When it came time to go to college, she even had a scholarship offer. At Wake Forest, Proctor pursued art and worked for the women’s basketball team. Her summers were spent back with the Heat, developing scouting reports and helping with the administrative duties related to the draft and free agency. Slowly, the dream of coaching grew more elusive, but the NBA still had a hold on her attention. 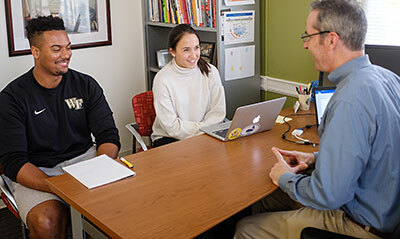 From her perspective, Proctor had two options after graduation: Apply for a management training program at NBA headquarters or attend Wake Forest graduate school. She believed she was a shoo-in for the first option, and the second was a safe backup plan. Armed with recommendation letters from Pat Riley and Alonzo Mourning, Proctor interviewed with the NBA. She did well, but the NBA wasn’t ready for her yet. Despite her talent and experience, they told her she was too creative for the position. She regrouped and knocked on the second door — a familiar one. 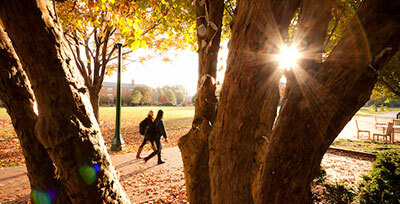 She knew she could succeed at Wake Forest and figured that a master’s degree would be a good decision. Again, pleased with her interview, she was leveled with the news. Like a good parent who knows when her child needs to be kicked out of the nest, Mother So Dear told Proctor it was time to fly. First she was too creative. Now she had too much potential. It was Beth Hutchens, an assistant in the Wake Forest Communication Department, who pointed Proctor toward Turner Broadcasting in Atlanta. They were seeking talented interns, and Proctor handed them all the creativity she had. She was offered the position, and soon found herself walking into the building on 10th Street and her first professional home on “TNT — We Know Drama” cubicle row. Proctor enjoyed her team, the work and the creative environment. But it was growing increasingly obvious she was different. Proctor started to feel like she should change to fit in. But a chance informational meeting with Steve Koonin, the general manager of TNT, shifted her perspective and offered her the best guidance of her career. Proctor soon found her footing. She spent more than a decade with Turner Broadcasting, including a stint in London, where she earned her master’s degree from Central Saint Martins College of Art and Design at The London Institute. Then, she was invited to lead a health and wellness entertainment arm of the company, making that long and successful climb from intern to vice president. A few months after launching that health and wellness offshoot, the company dissolved the venture. Proctor, eight months pregnant, was officially unemployed. “But everything happens for a reason,” assured Proctor. As she was focusing on raising her daughter, she ran into Koonin, the sage who had reminded her to be herself. He had departed his role at Turner Broadcasting and was now the CEO of the Atlanta Hawks. An invitation to consult on a project in 2014 was an open door back to the NBA — one she has taken all the way to the executive suite. In a bustling young city with an apathetic Hawks fan base, Proctor and her team have pulled off one of the most talked about comebacks in Atlanta sports lore. And they did it simply by understanding their audience and daring to experiment with some risky ideas. They changed the Hawks’ uniform colors to ones that video gamers would choose on their gaming systems. They hosted “Swipe Right Night” at Philips Arena, which used Tinder to attract millennials to the court for more than a game. And last year, they released their entire regular season schedule using emojis. The NBA needed her creativity after all. 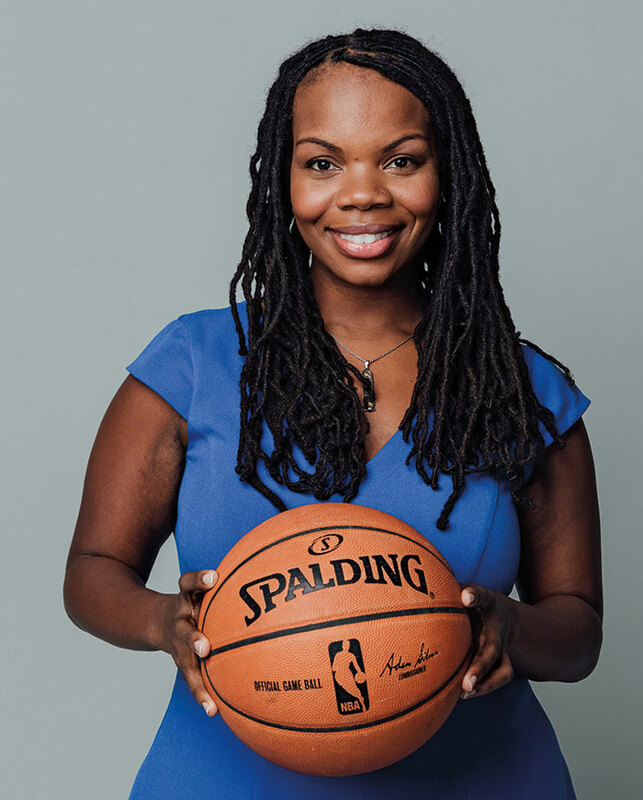 Before working with the Atlanta Hawks, Melissa Proctor (’02) held several positions with Turner Entertainment Networks (including TNT, TBS, Turner Classic Movies, truTV and Peachtree TV), Cartoon Network and Turner Media Group. Proctor serves on the boards of the Atlanta BeltLine Partnership, the Children’s Museum of Atlanta, 48in48, 21st Century Leaders and as an adviser for the DaggervAgency. Proctor has one daughter, Marley. This year, nearly 175,000 people in the United States alone will be diagnosed with a serious blood disease, like leukemia, lymphoma or myeloma. For many who will fight against blood cancer, healing will come from a bone marrow transplant. Hope for that healing will come — nearly 70 percent of the time — from complete strangers. It all started in August 2012. Usain Bolt was racing for history in London; West Nile virus broke out in Texas; Curiosity was roving around Mars; and Hurricane Isaac mustered squalls strong enough to delay the Republicans’ nomination of Romney and Ryan. Behind the scenes of the Republican National Convention was Elliot Berke (’93), a 40-year-old attorney who specialized in political law. He had cut his teeth serving as general counsel to former House Majority Leader Tom DeLay and represented some of the biggest names, officials and organizations inside the D.C. Beltway. He helped with presidential appointee confirmation hearings, worked with presidential transitions and now serves as the president of the Republican National Lawyers Association. He is half of Berke Farah, a political law firm he started with his partner, William J. Farah, a Democrat. His expertise in political law and significant experience with government officials were attractive to convention planners in Tampa. 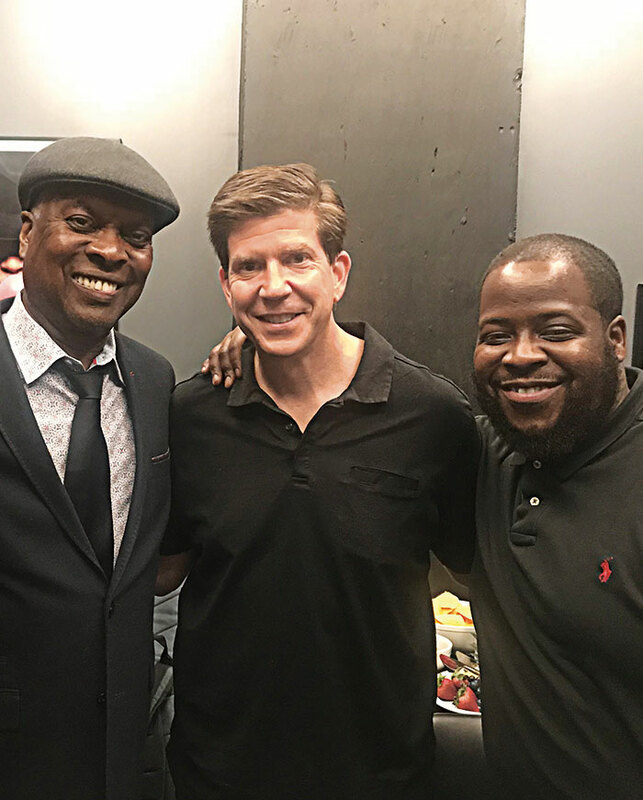 Given the number of politicians and entertainers present for the multiday political festival, Berke was retained to help book performers and ensure that the charity events during the convention adhered to federal and state ethics laws. Serendipitously, his political law bent collided with his long-standing love of rock ’n’ roll. During those four days, Trace Adkins crooned, Journey had everyone believing, and with each strum of his guitar, Kid Rock offered reminders of what it sounded like to be born free. Finally, the wish was amplified from a whisper to a shout. Berke took his love and appreciation for the law and turned it toward his friends. He expanded his firm’s legal repertoire and developed an expertise in entertainment law. He partnered with an attorney in Los Angeles from his old law firm who focuses almost exclusively on entertainment and intellectual property. That partnership was then parlayed into an interest in production, and soon, he and two others started Across the Aisle Entertainment, a separate production company. Suddenly, Berke was raising funds for UNICEF with a former James Bond; he was honoring military veterans with members of Jane’s Addiction, Sugar Ray and Billy Idol’s band; and he was championing the effort to dedicate busts of Winston Churchill and Vaclav Havel in the U.S. Capitol’s National Statuary Hall with The Who’s Roger Daltrey and ZZ Top’s Billy F Gibbons. Not giving up his day job, he was also providing pro bono legal work to charities like the Robert Duvall Children’s Fund and VetsAid, founded by the Eagles’ Joe Walsh. One of those visits around D.C. with good friend Mike Peters of Welsh rock band The Alarm inspired a vision. Peters, it turns out, was a statistic. In the 1990s, he was one of the hundreds of thousands to hear “you” and “cancer” in the same breath. For decades, he fought chronic leukemia, and today he is a three-time cancer survivor. The two friends were strolling through the Capitol, and Peters was sharing the latest news of the Love Hope Strength Foundation (LHSF), his work leveraging music to help fight cancer. One of the foundation’s major initiatives is to build up the number of people on the bone marrow registry. LHSF has gone around the world asking people — many at rock concerts and festivals — to have their cheeks swabbed for DNA that could be matched with cancer patients needing bone marrow. Walking through the halls of Congress, Berke, who has done pro bono legal work for LHSF, suggested the two hold the first bone marrow registration event at the U.S. Capitol. For a year, Berke worked to pull details together, ascertain the appropriate approvals, and remind friends from the left and the right of our responsibility to and dependence on one another. They even convinced Democrat and Minority Whip Steny Hoyer and Republican and Majority Leader Kevin McCarthy to co-chair the event. On Tuesday, Sept. 6, 2016, Berke and Peters watched as members of the United States government volunteered to be potential lifesavers. Leader McCarthy and Republican Congresswoman Cathy McMorris Rodgers both joined the list, and Congressman Hoyer would have too, had he not aged out. In the halls where polarization reigns, there was no aisle, there was no political divide, there was no dispute. There were just humans wanting to help other humans live another day. But like the roller coaster of cancer, after the high comes the low. That very day, Peters received news from his wife in the UK. She had been diagnosed with breast cancer months earlier, but they learned that day that it was worse than doctors originally thought. After that bone marrow registration drive, Berke worked alongside his friend to help produce the 2017 documentary “Man in the Camo Jacket,” which tracks Peters’ career and battle with cancer. To date, the efforts of the LHSF have added more than 157,000 people to the International Bone Marrow Registry and have made 3,116 potentially lifesaving matches. Additionally, LHSF partnered with Live Nation to conduct bone marrow swabs at concerts at 70 venues across the U.S. In October 2018, Berke, Peters, The Alarm and some 40 other hikers — including The Cult’s Billy Duffy and the Gin Blossoms’ Robin Wilson — took their message of awareness to the Grand Canyon, Bryce Canyon and Zion Canyon. And as of now, both Peters and his wife have recovered from their bouts with cancer. In the fight against cancer, there are stats and there are numbers. There are percentages and there are likelihoods. There are trials and there are waiting periods. But there are also friends and strangers fighting to bring hope, working to bring cures and walking beside those who need it most. He also serves as general counsel and senior adviser to the Jack Kemp Foundation, led by Jimmy Kemp (’93), and on the boards of the International Churchill Society, the Vaclav Havel Library Foundation and the Republican National Lawyers Association. He is currently a member of the Wake Forest College Board of Visitors and has served as president of the Wake Forest University Alumni Council. In his spare time, he coaches fifth grade boys’ basketball. He and his wife, Lindsey Jensen Berke, have two children. In Tunisia, a country wedged between the Mediterranean Sea and the Sahara Desert, Mohamed Bouazizi, the operator of a vegetable stand, was repeatedly humiliated by public officials because he didn’t have the proper permits to sell his produce. Quite regularly, his vegetables and scales were confiscated. On Dec. 17, 2010, in protest of this treatment, he went to the local municipal office and set himself on fire. People poured into the streets, adding their voices to oppose unfair treatment of the working class. The uprising spread throughout the region into Algeria, Egypt, Iraq, Jordan, Libya, Oman, Syria and Yemen. Some dictators fell from power, other governments were challenged, elections were attempted and coups were incited. This was the Arab Spring. While many of us heard news updates, counterterrorism expert Daveed Gartenstein-Ross (’98) was entrenched in determining what the activity in each country might mean for terrorist groups, or what he calls “violent nonstate actors.” Would the Arab Spring strengthen terrorism or weaken it? He spoke on panels, wrote papers and offered this opinion. Fellow counterterrorism experts ostracized him. Some even refused to speak to him. As events unfolded, Gartenstein-Ross’ predictions came true. Governments crumbled, and terrorists were forming strongholds. The Arab Spring did not weaken terrorism; it made room for it to flourish. It was this experience that inspired Gartenstein-Ross to advance beyond being a subject-matter expert and invest himself in starting a full counterterrorism research firm. Valens Global is a private firm focused on addressing threats posed by terrorist groups and violent extremist organizations across the world. It is the result of Gartenstein-Ross going against the herd. On any given day at Valens, a team member is researching the interpersonal relationships of jihadists or delving into the inner workings of Hezbollah. Another is helping prepare Gartenstein-Ross for an upcoming court case in which he will be appearing as an expert witness for a state’s prosecution of a terrorist. Another is brushing up on her jihadist slang. Another is preparing a presentation on terrorism in Europe to brief a military contingent; still another is assessing the risk of foreign fighters returning to Trinidad and Tobago; and one is smiling, knowing that the information and warning delivered to a client just 24 hours ago is now being reported on CNN as a near miss. This work is being done by a team of sharp, 20-something professionals who can’t remember a world absent the threat of terrorism. Working alongside Gartenstein-Ross, a scholar who can conduct research in five languages, this nimble, quick and curious group is learning the ins and outs of counterterrorism from someone who has stood in the space for a long time. But long before the charity was labeled a terrorist group — prior even to the 9/11 attacks — Gartenstein-Ross was able to take advantage of his distance from the environment in which he had been immersed in Oregon to critically question and analyze the views of his more radical co-workers. He wrestled with what he had learned, met with other people to talk about spiritual issues, and in 2000, he converted to Christianity. On Sept. 11, 2001, Gartenstein-Ross was finishing his final year of law school. “From the street outside my apartment, I watched the plumes of smoke rising from the World Trade Center,” he remembers. Months later, he was clerking with the U.S. Court of Appeals in the District of Columbia. During a background check, the FBI sought out Gartenstein-Ross to ask him about his first employer. Two years later, in 2004, while Gartenstein-Ross was practicing law, he was also assisting the FBI in their investigation of the charity. “My introduction to these issues was from the other side of the fence, rather than from the counterterrorism side,” he explained. Gartenstein-Ross’ perspective provided him a unique approach to counterterrorism work. As he thought about creating a company, he unleashed his entrepreneurial and creative side. He wanted his startup to produce the best subject-matter expertise possible, but he also wanted it structured well. If the operation were to run smoothly, the information and analysis could be more focused and accurate. This agile culture is one that Gartenstein-Ross’ young team experiences regularly. This week, Gartenstein-Ross might be meeting with a military contact about ISIS’s European attack network. He might be investigating South American cartels or human smuggling operations in East Africa. Or, he might be traveling to D.C. to deliver training on how geopolitics intersect with local law enforcement priorities. He might be hearing the opinion of a former director of the TSA or looking at one of his employees’ analysis of the future trajectory of militant groups in Africa. Or, he might be studying an adversary’s strategic plan in order to run a simulation to help a client understand the implications of potential confrontations. Wherever he is, and wherever his team is, they are quietly going about the modern work of thwarting terrorists. Daveed Gartenstein-Ross (’98), a prominent scholar, practitioner and entrepreneur, holds a Ph.D. in world politics from Catholic University of America and a J.D. from the New York University School of Law. His previous positions include senior adviser to the director of the U.S. Department of Homeland Security’s Office for Community Partnerships; fellow with Google’s think tank, Jigsaw; and adjunct assistant professor in Georgetown University’s Security Studies Program. As a globally recognized expert in counterterrorism, Gartenstein-Ross has testified before the U.S. Senate and House of Representatives more than a dozen times, as well as before the Canadian House of Commons. He is a frequent speaker who has delivered addresses at the U.S. Army Special Operations Command Commanders Conference, the University of Southern California’s National Center for Risk and Economic Analysis of Terrorism Events, the North Atlantic Treaty Organization (NATO), the Royal United Services Institute (London), the Kazakhstan Institute for Strategic Studies and the Pulitzer Center on Crisis Reporting, among many others. He is the author or volume editor of 23 books and monographs, and he has been published in The New York Times, The Washington Post, Foreign Affairs, Foreign Policy, The Atlantic and Terrorism & Political Violence. He and his wife, Amy Powell (’01), have two children. He’d been in the Atlantic Ocean less than 18 minutes. The second hand had ticked only 14 times between the time his feet reached the shore and the moment they arrived at his bicycle pedals. Leading a pack of a few dozen, Kemper and another athlete were pedal-for-pedal heading down a hill, completing the first lap of the middle portion of the race, when a lagging swimmer exited the water and headed for his bicycle. In a competition judged by what happens in a matter of seconds, the next several seemed to slow down. The delayed swimmer, who was not warned and taken off the course by race officials, continued to the transition area, not noticing the bicyclists heading his way, causing the biker in front of Kemper to swerve, eliminating any time for Kemper to react. At 35 miles per hour, Kemper collided with the swimmer — sending Kemper off his bike and the swimmer to the pavement. Surrounded by pieces of mangled metal, Kemper looked up to see the swimmer nearly unscathed. Then, a burning sensation in his left elbow stole Kemper’s attention. In a competitive career that had already surpassed two decades, Kemper had experienced a few injuries. There was the time he trained so hard he broke his pelvis. Another time, he took a turn too fast and was rewarded with a broken collarbone and concussion. For most of his life, swimming, biking and running had resulted in success. At 10, he won the first triathlon he ever competed in, beating the only two other 10-year-olds in the race to take the crown. A victory in his second race made him national champion. When he was a middle schooler, Sports Illustrated wrote about him in the same issue that featured Larry Bird underneath the masthead. Not a strong runner, Kemper had to walk on to the Wake Forest cross country and track teams, but soon enough, he was collecting All-ACC honors. And even before he graduated from college with a business degree, he was in New York City sitting across from Polo’s Ralph Lauren, signing his first endorsement deal as a professional athlete. After two years, Kemper walked into Stadium Australia as one of only three American men competing in the first-ever triathlon at an Olympic Games. Of the 52 racers circling the Sydney Opera House, he finished 17th. In the next four years, Kemper clocked tens of thousands of miles by arm, by leg and on foot. He endured two-a-days; proved himself against the weight machines; reviewed race reports; monitored his body mass, heart rate and metabolic numbers; attended to proper recovery; and logged personal bests. In 2004, when the Olympics returned to its birthplace, Kemper was wearing the Stars and Stripes again. Fifty of the best athletes in the world took the starting line; Kemper beat 41 of them to the finish. For the second time, Kemper was the top American triathlete at the Olympic games. The years after Athens were beyond compare for Kemper. He was the first U.S. male triathlete to be ranked No. 1 in the world. In 2005, the U.S. Olympic Committee named him SportsMan of the Year — an honor previously won by Michael Phelps and Michael Johnson. And amid a collection of national and international victories, the “Breakfast of Champions” picked him as its poster child, making Kemper the first triathlete to appear on a Wheaties box. At 32, Kemper was in Beijing watching 2,008 drummers pounding bronze Fou drums and quoting Confucius to welcome the world to another Olympic competition. Fifty-five men from 31 nations raced for three steps on a podium. Kemper finished seventh — America’s best again. Three Olympics. Races around the world. Prize money. National and international records and recognition. He had lived his dream of being a professional athlete. He had stood at the top of podiums as the best his country had. Every time the plane hit turbulence, a shot of pain seared into his elbow and jolted him back to reality. It wasn’t just a break, like his collarbone. His joint was shattered, and he was staring at an unknown future. Kemper endured surgery that required a plate and 13 screws. Instead of training for races, he was working on extending his arm, flexing his bicep and finding full range of motion in his left wing. Sometime between Thanksgiving and Christmas, Kemper wondered if he was working his rehab routine too much. “I couldn’t move my elbow,” he remembers. Then his temperature shot to 102. Phone calls with doctors and surgeons, blood tests and examinations revealed a staph infection in his arm. If it spread, the infection could be life-threatening. He had three surgeries in three days to purge the infection. Attached to IVs and invaded by a PICC line, his body was pumped full of antibiotics for six weeks. The one-time globetrotting SportsMan of the Year was sequestered to his bed. Kemper’s body fought off the infection, leaving him with three months until the 2012 Olympic Trials. Questions abounded. Would he be in shape to compete in the trials? He was an injured 36-year-old competing against healthy racers half his age. Everyone had written him off. The Olympic qualifier was on Mother’s Day weekend. A few days before the competition, Gretchen Kemper sent her son a magazine article that told the promising stories of young, exciting racers infiltrating the sport. Kemper was not mentioned. Sometimes, in the valley, defeat seems inevitable. Sometimes you need others to believe in you when you don’t believe in yourself. Sometimes it is the love of family and friends that carries you across the finish line. To qualify for the 2012 London Olympics, Kemper had to finish in the top nine. He hadn’t raced since the debacle at Myrtle Beach more than six months earlier. When Kemper broke the tape, the time on the clock showed 1:49:18. It was the fifth-best time. In London, the U.S. Men’s Olympic Triathlon Team named him captain. Kemper attempted to make the 2016 Rio Olympics at age 40, but it wasn’t to be. Instead, he and his wife, Valerie — also an elite athlete — keep busy with their five kids and the hordes of others they cheer on through their work supporting kids’ triathlons around the country. In his professional career, Kemper started more than 125 races. He tallied nearly 4,000 miles in front of spectators; tens of thousands more were done in solitude. He’s known the height of victory and the depth of discouragement. And he knows it is only because of faith and family that he did any of it. 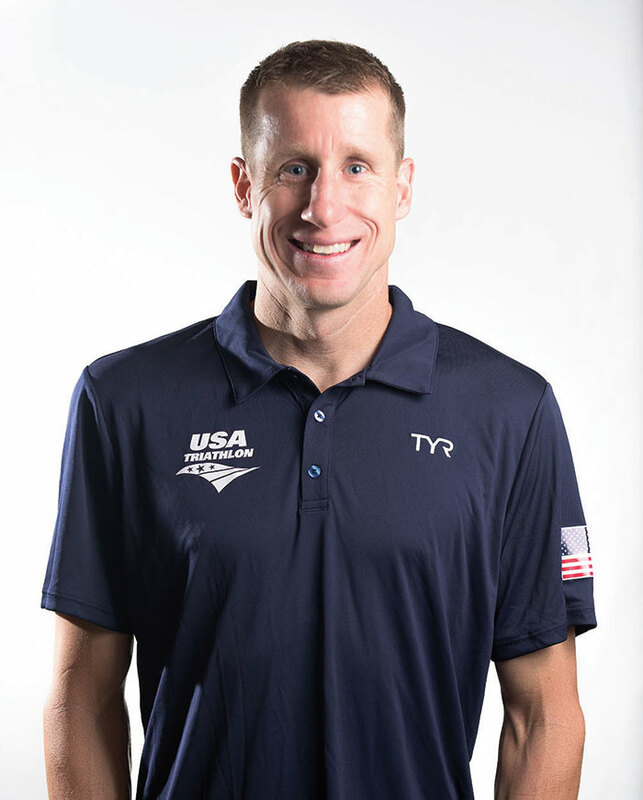 Hunter Kemper (’98) is the most decorated triathlete in U.S. history. A four-time member of the U.S. Olympic triathlon team, he is one of only two men in the world to qualify for four Olympic triathlons. He has competed all over the world, winning the International Triathlon Union’s (ITU) World Series Championship in 2005, earning seven USA Triathlon Elite National Championships, becoming the first American to win a gold medal at the Pan Am Games in 2003 and conquering the Lifetime Fitness “Battle of the Sexes” Triathlon. In August, Kemper was inducted into the USA Triathlon Hall of Fame. For more than 15 years, Kemper and his family have sponsored children from Brazil, El Salvador and Thailand through Compassion International, providing them education and medical care. He is now an athlete ambassador for the organization. He has also used his athletic abilities to raise money to combat multiple sclerosis and other genetic diseases. Kemper earned eight varsity letters at Wake Forest, was a four-time selection to the ACC All-Academic Team, earned All-ACC honors for the 10,000 meters and was inducted into the Wake Forest Sports Hall of Fame in 2008. Kemper and his wife, Valerie, have five children and reside in Colorado Springs, Colorado. Do you know how hard it is to get your uniform back from a museum?” she asked. For 30 years, Brigadier General Evelyn “Pat” Foote (’53, LLD ’89) gave her best to the United States Army. In 1989, after breaking as many glass ceilings as she could find, she retired. Seven years after her last “hooah,” the secretary of the Army recalled her to active duty. Nearly three decades after her original 30-year stint, the unassuming 88-year-old is finally starting to acclimate to civilian life. Having heard “no” more than her taste could bear, she sought out “yes.” After talking with a female Army officer, Foote received information in the mail. Included was a brochure that touted “executive opportunities.” Foote was 29 years old, college-educated, had job experience and was driven by a desire to serve something bigger than herself. All that flyer required of her was a two-year commitment. And that is how, in 1959, Pat Foote became a soldier in the U.S. Army. Three times the Women’s Army Corps officer asked to be sent to Vietnam. Her third request charmed. Foote was one of 750 nonmedical Army women who went to Vietnam — the only female in a public affairs office of 66 soldiers, and the only one in public affairs not given a weapon in a war zone. Though her commanding officer initially tethered her to a desk, it didn’t last. “I spent most of my time hanging out of a door of a Huey UH 21 helicopter, hooked in with web seating, sitting beside the gunner, looking at the land below,” she smiled. “I was out with every division, every separate brigade, every field artillery brigade in both corps areas. I got to see the war from one end of the country to the other. We would be going from some point to some point, and if you saw a target below, you engaged. So we would break off our trip long enough to take care of whatever was down there and continue on our way. Sixteen years later, Foote found herself in Germany — a colonel commanding the 42nd Military Police Group. When she took the reins, she called together the commanders, staff and the senior noncommissioned officers. “It was the best two years of my Army career,” she admitted. Foote’s military career was flooded with firsts — first female public relations officer in Vietnam; first female faculty member appointed to the U.S. Army War College; first female brigade commander in Europe; and first female Department of the Army assistant inspector general. In 1986, Foote became one of only four female generals in the U.S. Army and, subsequently, the first female commander of Fort Belvoir in Virginia, overseeing thousands of soldiers and civilian employees. In 1989, she was required to retire on the basis of age. Seven years after the brigadier general turned her uniforms over to museums eager to acknowledge and celebrate her pioneering career, Foote was recalled to active duty. The secretary of the Army appointed her to serve as vice chair of the secretary of the Army’s Senior Review Panel on Sexual Harassment. During one investigation, a captain commanding a company approached the general, distraught that one of his strongest fighters was being accused of sexual harassment. “You want me to get rid of my best soldier?” Foote remembers him asking her. 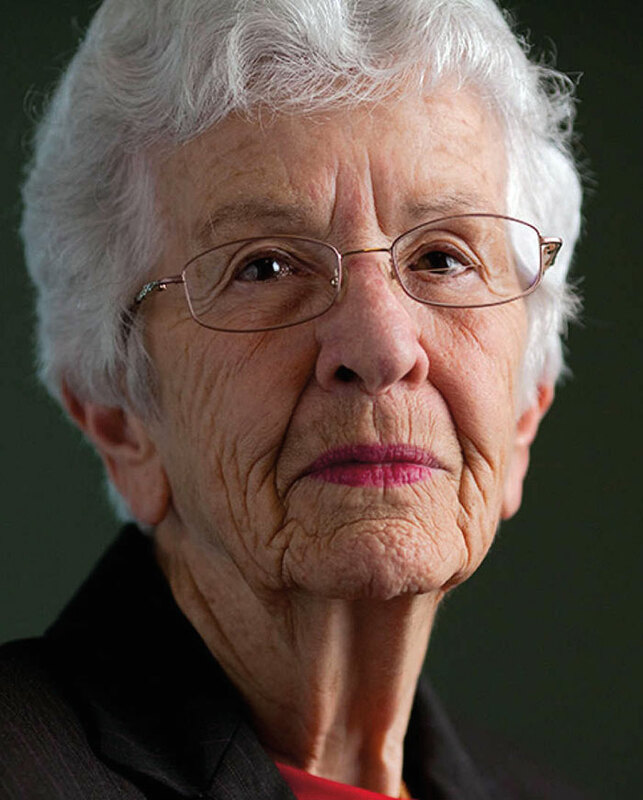 Foote’s leadership kept her working as a trusted military voice, testifying before Congress and serving on committees to build multiple national war memorials. But it all started because the Army gave her an opportunity. And so, she stayed for a lifetime. Looking back at a career that is almost unimaginable, that crossed oceans and was shaped on multiple continents, that includes stacks of awards and medals and commendations and appointments, there is one aspect of her career that is the most significant. And though she was once handed some change after being mistaken as a meter maid in her early career, she has led life serving something greater than herself — serving her country, serving those in her command and serving the women who now run past her early footsteps. In the end, it wasn’t the uniform that made the soldier; it was the soldier who made the uniform. In addition to her multiple commands, Brigadier General Pat Foote (’53, LLD ’89), a native of Durham, North Carolina, served as a frequent consultant to the Office of the Secretary of the Army concerning numerous personnel issues. For nine years, she served as president of the Alliance for National Defense, a nonprofit organization that supports women in the armed forces. In 1994, Brigadier General Foote was appointed by President Bill Clinton to serve on the American Battle Monuments Commission, the executive agency that operates and maintains 24 American military cemeteries abroad. Within this Commission, she served on the original site and design committee, which was charged with overseeing the siting, design selection and construction of the National World War II Memorial, dedicated on Memorial Day in 2004 on the National Mall. She continues her service today as a member of the Friends of the WWII Memorial Foundation Board. 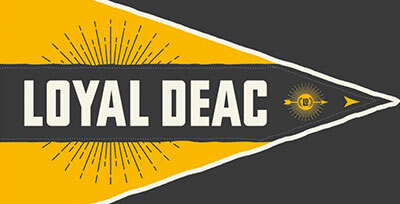 She is a former member and chair of the Wake Forest College Board of Visitors. In 2018, Brigadier General Foote was inducted as a member of the Marquis Who’s Who Albert Nelson Lifetime Achievement Award Association.